About "McMeow, The Crime Kitty"
with her original program, "McMeow, The Crime Kitty." 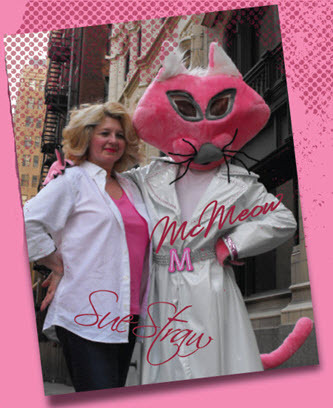 Previously, Miss Straw won the same "Governor's Educator of the Year"
"McMeow, The Crime Kitty," her images, name, costume, logo, music, and all related materials are the sole property of Sue Straw and are protected under US Copyright and Trademark Laws. "McMeow, The Crime Kitty" and any of her related materials may not be used, published, or copied in any form without written permission from her creator.